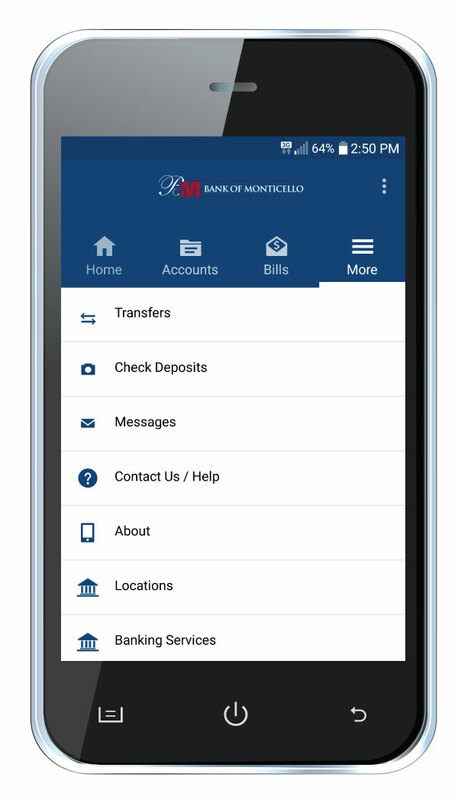 Access all of the features of Online Banking from your smartphone or mobile device with the Bank of Monticello App. Pay bills, transfer funds, and view balances from your smartphone or mobile device. Follow these easy steps to begin using the Mobile app. Download the app for your mobile device by using the links above, or by searching Bank of Monticello in your device’s app store. Enter your security answer exactly the way you set it up when you signed up for Online Banking.